The average age of the crowd at our match against East Thurrock United on Saturday, 11 November, was rather younger than usual as the Club welcomed Oldfield Park Infant and Junior Schools to the game. Over 160 children and parents braved the grey skies and drizzle to cheer on Jerry Gill’s team, and boy, did it work. Not only did Gill claim his first League win as Bath City manager, the school-kids were also treated to a thumping four-nil victory and one of the team’s strongest displays of the season. 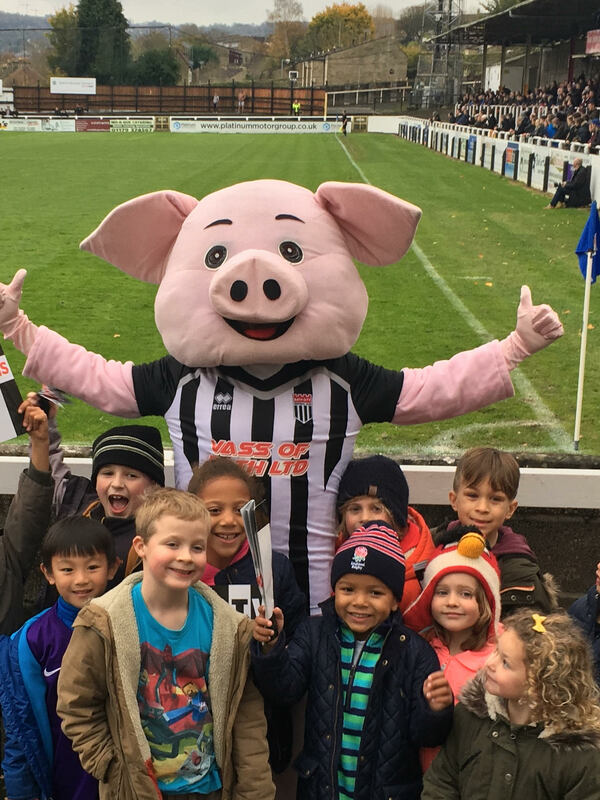 The two schools were invited to Twerton Park as part of Bath City’s new Schools Promotion Programme, which is aiming to strengthen ties between Club and community and develop the Club’s fanbase of the future. 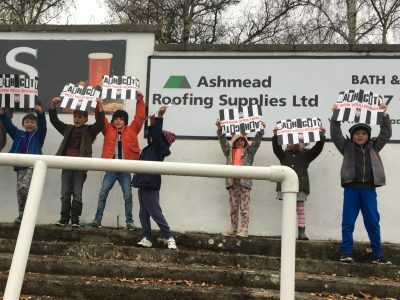 Representatives from Bath City, including manager Jerry Gill and club mascot Bladud, took part in assemblies at the two schools the week before the game to tell the children more about their local community football club and ask for their support. Pupils at the school were offered the chance to attend the match for free, with accompanying adults paying £6. The big turnout from the two schools represented 18% of an impressive 907 attendance on match day, as well as swelling the Club coffers with visits to the tea bar, Mo-B-Que and Club Shop. Thank you to Oldfield Park Infant and Junior Schools for the rowdy support. You obviously brought the team good luck and we hope to see you again soon.